These Terms and Conditions of Use ("Terms and Conditions") apply to your use of and registration withwww.ArtsEngaged.com (the "Site"). Arts Engaged reserves the right to change, modify, add or delete portions of the Terms and Conditions at any time, without prior notice. Please re-review the Terms and Conditions periodically for changes. Your continued use of the Site will mean that you accept such changes or deletions. Subject to your full compliance with these terms, Arts Engaged authorizes you to view the Content, make a single copy of it, and print that copy, but only for your own lawful, personal, noncommercial use, provided that you maintain all copyright, trademark and other intellectual property notices contained in such Content, and provided that the Content, or any part thereof, is not modified. From time to time, Arts Engaged may offer to provide information or materials via e-mail or otherwise to interested persons. Arts Engaged reserves the right, in its absolute discretion, to reject any requests for such information or materials, or to discontinue the provision of such information or materials to any person, for any reason whatsoever. Arts Engaged prohibits the posting of any information that infringes or violates the copyright rights and/or other intellectual property rights (including rights of privacy and publicity) of any person or entity. If you believe that your intellectual property right (or such a right that you are responsible for enforcing) is infringed by any content on the Site, please write to Arts Engaged at the below address, giving a written statement that contains the following information: (a) an identification of the copyrighted work and/or intellectual property right claimed to have been infringed; (b) an identification of the allegedly infringing material on the Site that is requested to be removed; (c) your name, address, and daytime telephone number, and an e-mail address if available; (d) a statement that you have a good faith belief that the use of the copyrighted work and/or exercise of the intellectual property right is not authorized by the owner, its agent, or the law; (e) a statement that the information in the notification is accurate, and, under penalty of perjury, that the signatory is authorized to act on behalf of the owner of the right that is allegedly infringed; and (f) the signature of the intellectual property right owner or someone authorized on the owner's behalf to assert infringement of the right. Arts Engaged will remove any posted submission that infringes the copyright or other intellectual property right of any person under U.S. law upon receipt of such a statement (or any statement in conformance with 17 U.S.C. § 512(c)(3)). U.S. law provides significant penalties for submitting such a statement falsely. Under appropriate circumstances, persons who repeatedly submit infringing or unlawful material will be prohibited from posting further submissions. 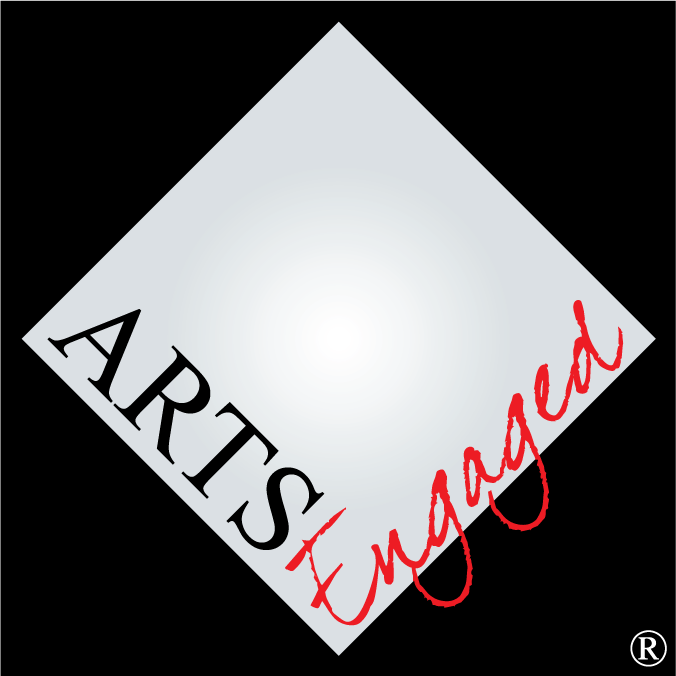 Arts Engaged's contact for submission of notices under this section is: Arts Engaged, 635 West Fourth Street, Suite 201, Winston-Salem, NC 27101. Arts Engaged does not represent or endorse the accuracy or reliability of any Users' Content displayed, uploaded, posted on any message board, or otherwise distributed through the Site by any subscriber, information provider or any other third party. Arts Engaged expressly disclaims any liability related to Users' Content, and you acknowledge that any reliance upon such Subscriber Content shall be at your sole risk. The Site may contain links to sites on the Internet that are owned and operated by third parties (the "External Sites"). You acknowledge that Arts Engaged is not responsible for the availability of, or the content or software applications located on or through any External Site. You should contact the site administrator or Webmaster for those External Sites if you have any concerns regarding such links or External Sites. When registering with or applying to Arts Engaged you must provide accurate, complete, and current registration information and you agree to provide Arts Engaged with any updates to that information promptly after such changes occur. Arts Engaged reserves the right, in its sole discretion, to restrict, suspend or terminate your access to all or any part of the Site at any time for any reason without prior notice or liability and without any obligation to refund any portion of fees paid for any product or service. Arts Engaged may change, suspend or discontinue all or any aspect of the Site at any time, including the availability of any Site feature, database, or content, without prior notice or liability. THE SITE AND THE CONTENT ARE DISTRIBUTED ON AN "AS IS, AS AVAILABLE" BASIS. NEITHER Arts Engaged, THIRD PARTY CONTENT PROVIDERS NOR THEIR RESPECTIVE AGENTS MAKE ANY WARRANTIES OF ANY KIND, EITHER EXPRESS OR IMPLIED, INCLUDING, WITHOUT LIMITATION, WARRANTIES OF TITLE OR IMPLIED WARRANTIES OF MERCHANTABILITY OR FITNESS FOR A PARTICULAR PURPOSE, WITH RESPECT TO THE SITE, ANY CONTENT OR ANY PRODUCTS OR SERVICES SOLD OR DISTRIBUTED THROUGH THE SITE. YOU EXPRESSLY AGREE THAT THE ENTIRE RISK AS TO THE QUALITY AND PERFORMANCE OF THE SITE AND THE ACCURACY OR COMPLETENESS OF THE CONTENT IS ASSUMED SOLELY BY YOU. NEITHER Arts Engaged NOR ANY PROVIDER OF THIRD PARTY CONTENT OR THEIR RESPECTIVE AGENTS WARRANTS THAT THE SITE WILL BE UNINTERRUPTED OR ERROR-FREE; NOR DOES Arts Engaged, ANY THIRD PARTY CONTENT PROVIDER, OR THEIR RESPECTIVE AGENTS MAKE ANY WARRANTY AS TO THE RESULTS TO BE OBTAINED FROM USE OF THE SITE OR THE CONTENT. UNDER NO CIRCUMSTANCES SHALL Arts Engaged NOR ANY THIRD PARTY CONTENT PROVIDER NOR THEIR RESPECTIVE PREDECESSORS, SUCCESSORS, PARENTS, SUBSIDIARIES, AFFILIATES, PAST OR PRESENT OFFICERS, DIRECTORS, SHAREHOLDERS, INVESTORS, EMPLOYEES, AGENTS, REPRESENTATIVES ATTORNEYS, LICENSORS OR INFORMATION PROVIDERS BE LIABLE FOR ANY DIRECT, INDIRECT, INCIDENTAL, SPECIAL OR CONSEQUENTIAL DAMAGES ARISING OUT OF THE USE OF OR INABILITY TO USE THE SITE, EVEN IF SUCH PARTY HAS BEEN ADVISED OF THE POSSIBILITY OF SUCH DAMAGES. SOME STATES DO NOT ALLOW EXCLUSION OF IMPLIED WARRANTIES OR LIMITATION OF LIABILITY FOR INCIDENTAL OR CONSEQUENTIAL DAMAGES, SO THE ABOVE LIMITATIONS OR EXCLUSIONS MAY NOT APPLY TO YOU. IN SUCH STATES, THE LIABILITY OF Arts Engaged, THIRD PARTY CONTENT PROVIDERS AND THEIR RESPECTIVE AGENTS SHALL BE LIMITED TO THE GREATEST EXTENT PERMITTED BY LAW. You hereby agree to indemnify, defend and hold Arts Engaged, and all of its predecessors, successors, parents, subsidiaries, affiliates, and past and present officers, directors, shareholders, investors, employees, agents, information providers, attorneys, representatives licensors and information providers (collectively, the "Arts Engaged Representatives") harmless from and against any and all liability, losses, costs and expenses (including attorneys' fees) incurred by Arts Engaged or any Arts Engaged Representative in connection with any claim arising out of any use or alleged use by you of this site or arising out of or in relation to any breach by you of the Terms and conditions, or the representations, warranties and covenants you made by agreeing to these Terms and Conditions. Arts Engaged reserves the right, at its own expense, to assume the exclusive defense and control of any matter otherwise subject to indemnification by you, and in such case, you agree to cooperate reasonably with Arts Engaged's defense of such claim. Choice of Law. The Terms and Conditions shall be construed in accordance with the laws of the State of North Carolina without regard to conflict of laws principles. The Terms and Conditions may not be amended except in writing signed by both parties and no waiver by either party shall be deemed a waiver of any preceding or subsequent breach or default, unless such a waiver is in writing and signed by an authorized representative of Arts Engaged. These Terms and Conditions were last modified on 5/01/18.